We offer a comprehensive range of options for the requirements of disabled drivers and passengers. Drivers who are unable to use their foot controls can regain their motoring independence by having hand controls fitted to their vehicles. SVO offer a wide range, from sophisticated Electronic Ring Accelerators to simple but effective Push/Pull controls. Adaptations to pedals can be undertaken, to assist drivers with right leg disabilities or for use in conjunction with hand controls. The Remote Keypad System provides easy and safe fingertip operation of up to 13 of a vehicle’s controls. Buttons on the switch pad send signals via Bluetooth to a control box, connected to the vehicle’s wiring. Switches are illuminated as standard on all systems. 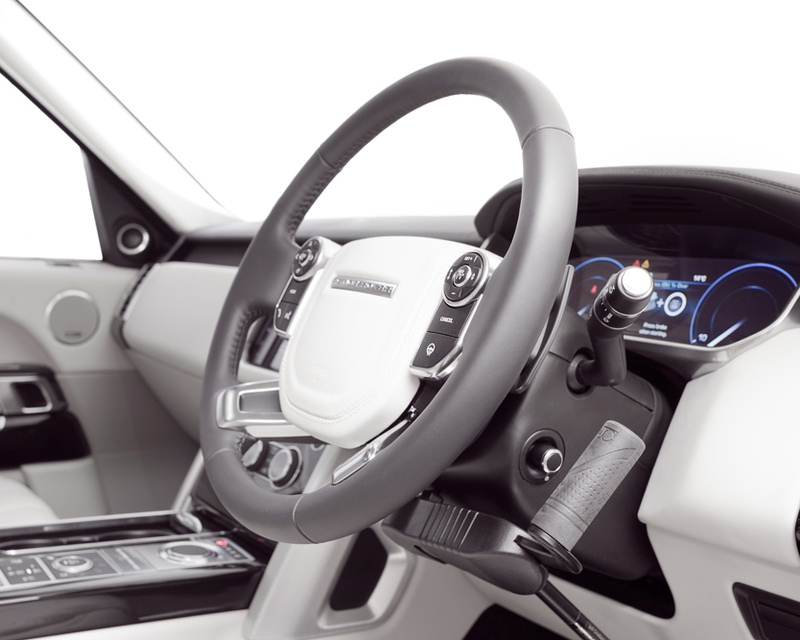 The modified car can be driven as normal by simply removing the transmitter from the steering wheel using the quick release feature. The system is available with either a standard or Lollipop grip. 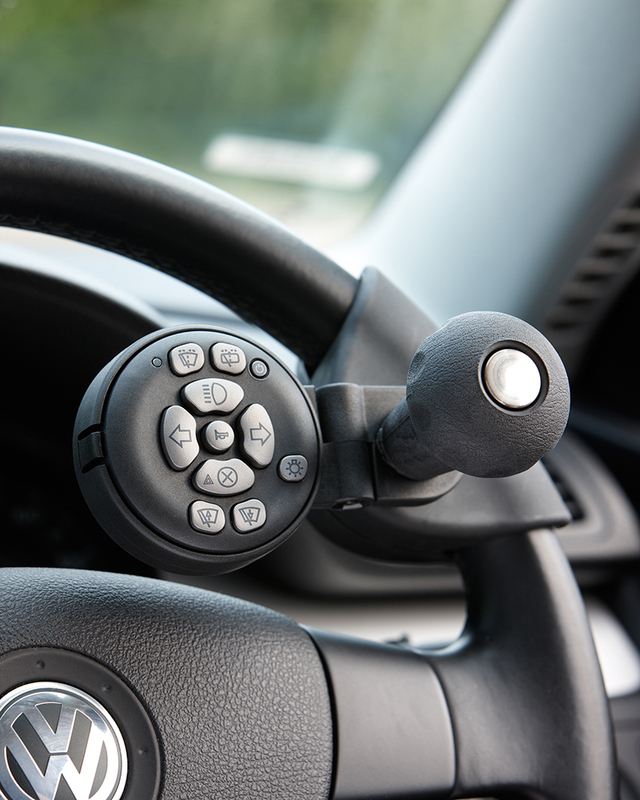 There are a number of adaptations available to simplify the use of the handbrake and gearshift. 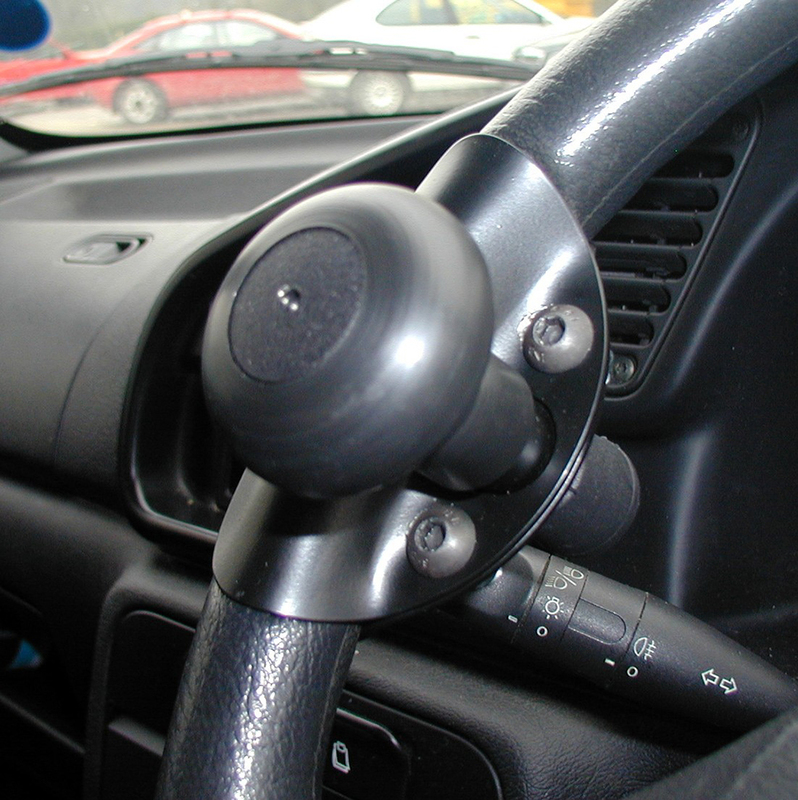 A steering device is a useful addition when using hand controls. A range is available to suit most needs. SVO can provide a range of adaptations to make your driving experience easier; click to find out more. There is a wide range of adaptations available to assist motorists to access their vehicles and keep them safe and secure when travelling. To assist with independent travel there are many options available for the transportation of manual and electric wheelchairs and scooters. Visitors welcome - by appointment only please.